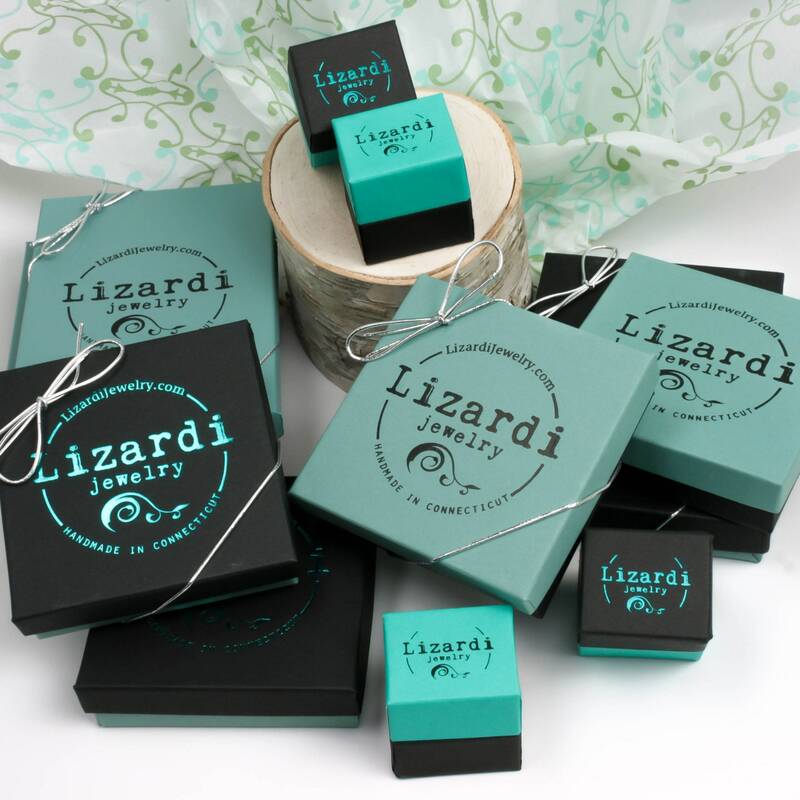 Make a statement with this unique gemstone pendant long necklace! 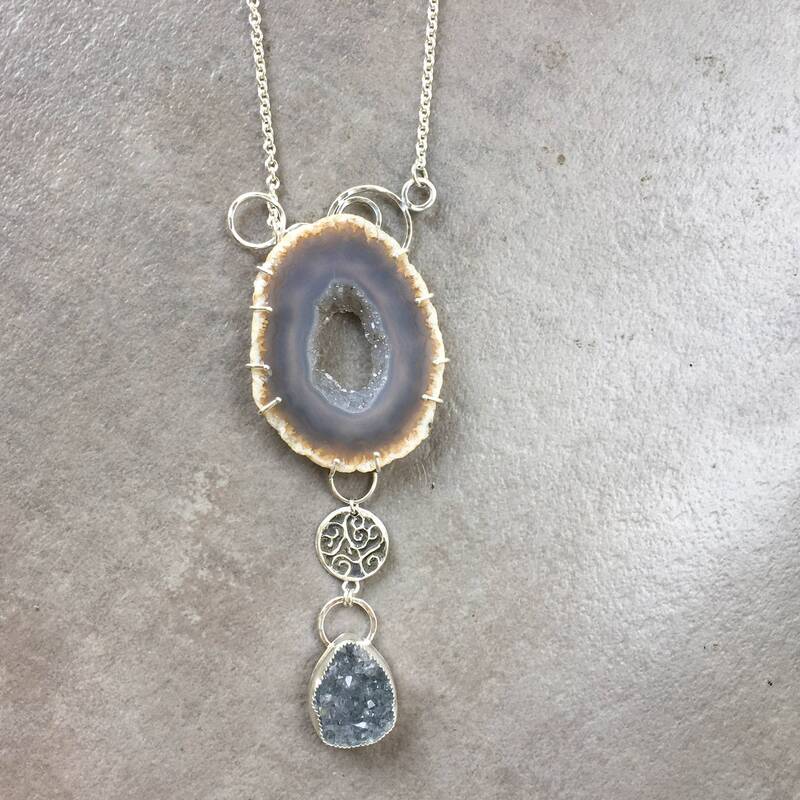 Handmade with a gorgeous ocho agate slice, natural druzy and solid sterling silver. This ocho agate slice is stunning, the edges feature the rough edges of the natural stone. 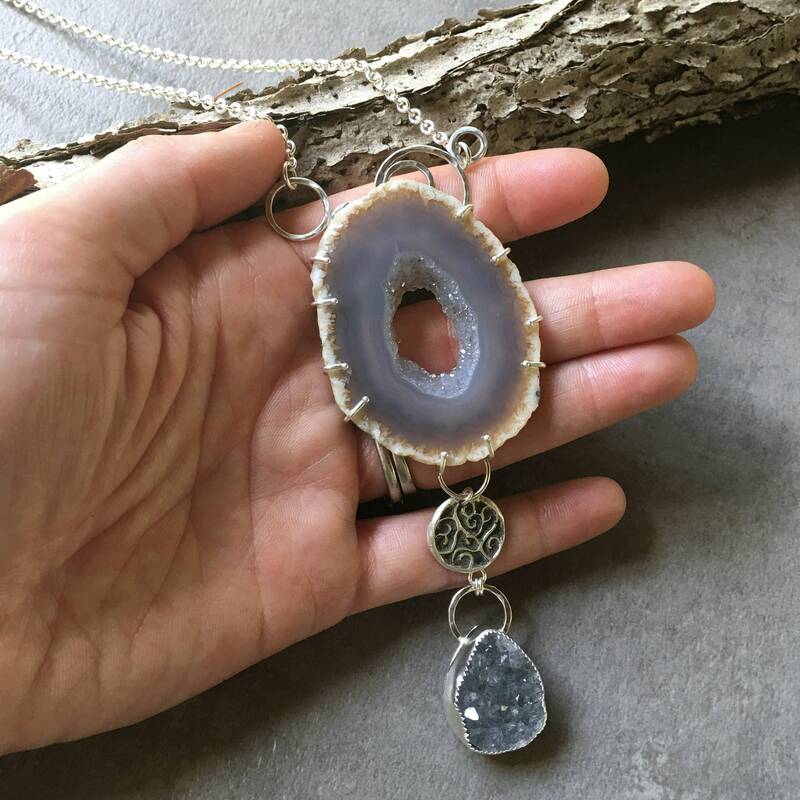 The stone is a cross section slice of a geode so the center is full of glittering druzy crystal surrounded by beautifully banded agate stone which is polished. 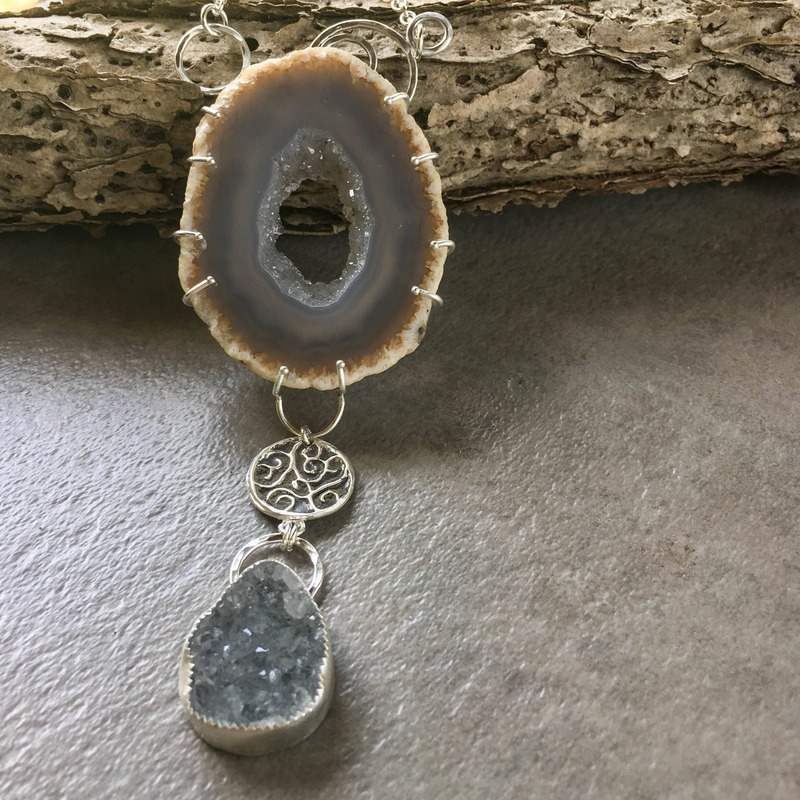 I created a prong setting for the unique stone to allow the edges to be visible and the center to be open to highlight to organic shape and raw nature of the natural stone. 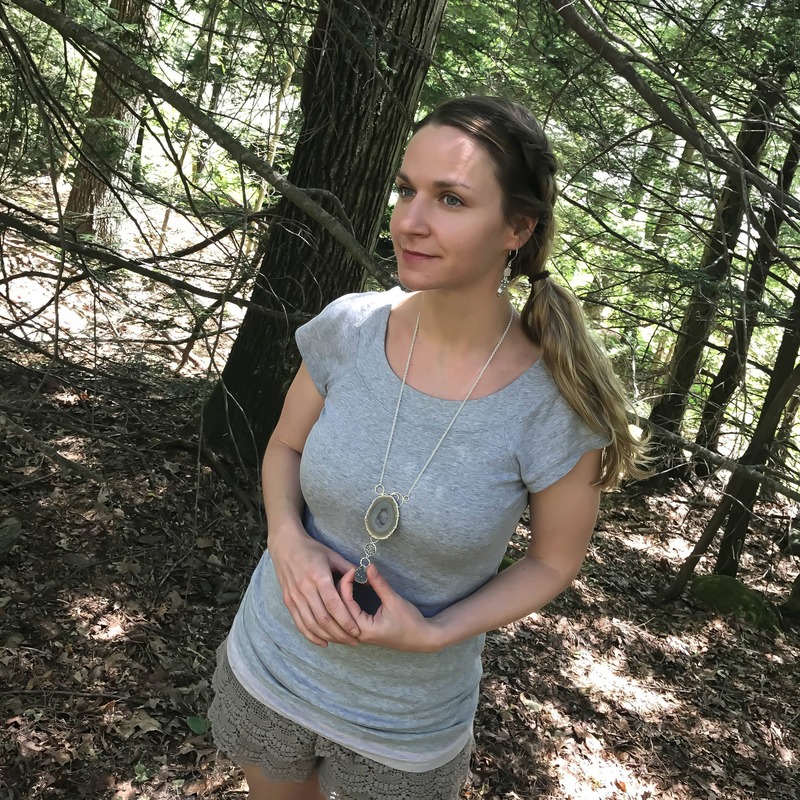 I soldered the prong setting onto hammered sterling silver circles I had created to serve as the bail and add interest to the piece. 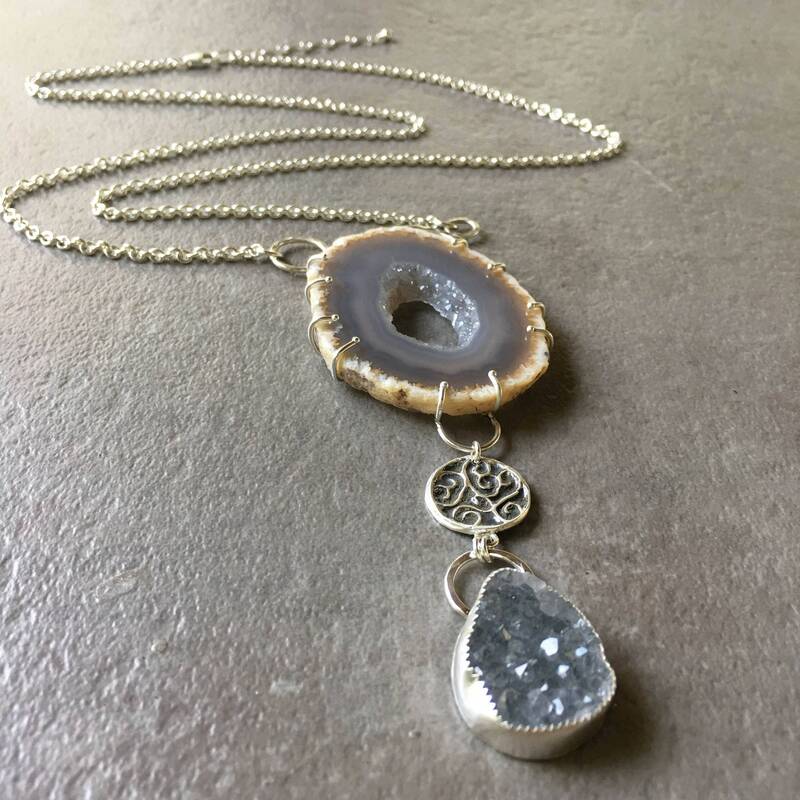 Below the agate is a hand sculpted filigree and a gray druzy teardrop which I bezel set in sterling silver. The presence of this pendant called for a heavyweight chain so I used out thickest rolo chain and made the length adjustable from 27"-29" with a lobster claw clasp and built in 2" extender.